Believe it or not, it’s time to start thinking about getting the kids ready to go back to school. Whether you’re farewelling a preppy for the first time, have a kid starting kinder or child care, or if you just need new school gear for your older kids, you’ve come to the right place, because this week we’re bringing you a bunch of back to school guides crammed with everything they need. We’re starting with some gorgeous finds to keep your child’s fruit pieces cool, their spaghetti hot, and sandwiches fresh this school year. But practicality does not mean you have to scrimp on style with these fashionable food storage ideas. Australian boutique designer Penny Scallan (see also top image) have a gorgeous range that are simple in style and big on usability. 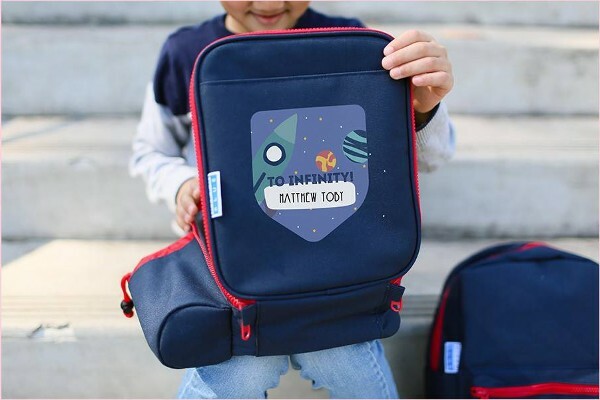 Their lunch boxes ($34.95) are made from 100 per cent cotton canvas that is PVC coated for durability and thermal lined inside. 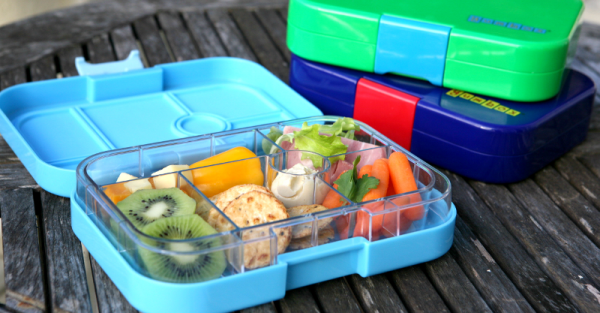 A BPA free lunch box that is easy to wipe down and looks fabulous. With matching heat/cool packs, drink bottles, backpacks, and more you can buy an entire stylish school set in one stop. With its first shipping run due this month, you know OmieBox is the very latest on offer. This innovative lunchbox allows you to store hot and cold foods together without spillage or temperature transference. 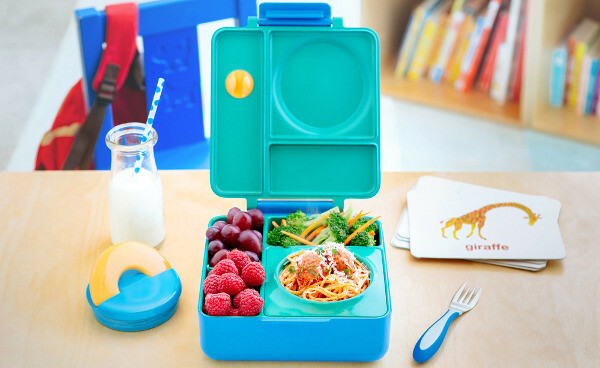 A lunchbox for the 21st Century kid, they are available through OmieLife for US$49.50. We’ve all faced that moment where you find a lunchbox left over the weekend that is now filled with a stinky furry substance that would be better classified as a science experiment. 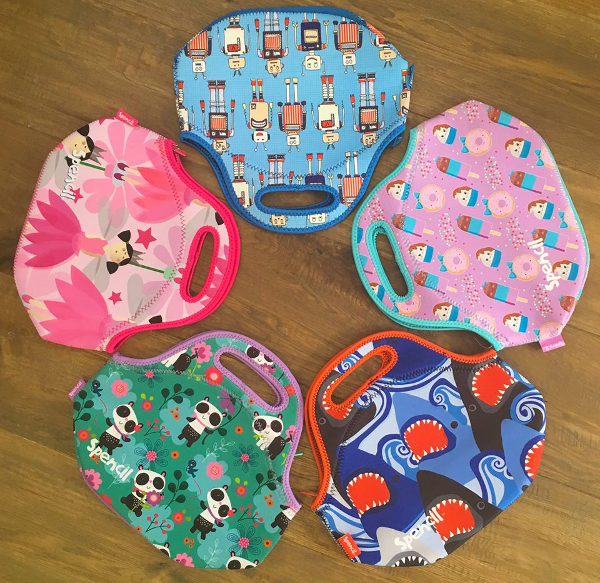 That is the moment you will be thankful for these machine-washable neoprene lunch bags from Spencil that save you from having to hold your breath and hand clean the muck out. Just chuck them in the washer and they are ready for another day. Priced at $14.95 these are a steal and they have a great range of colourful and quirky designs that kids will love. Love to send the kids along with a nourishing hot meal for lunch? These insulated food jars from Skip Hop will keep food warm for up to seven hours, or chilled for up to five hours. They sport cute animal designs and have a handy side holder for a spoon or fork. The Skip Hop Zoo collection also has snack cups, reusable snack bags and much more all in sweet animal designs. 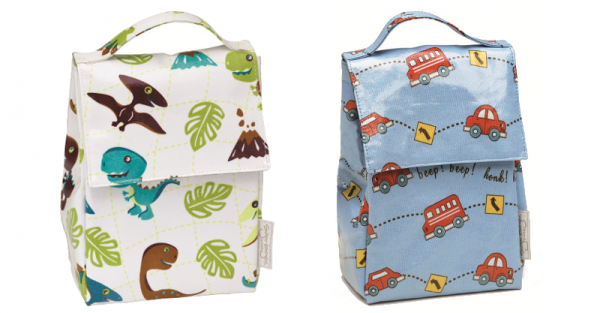 I’m a sucker for a classy vintage look and these lunch sacks from SugarBooger have caught my eye. Retro patterns on a classic cut bag with a hook-and-loop closure and cute carrier strap. Just darling. Inside there is a space for an ID card and the interior is insulated because hey, we don’t want to go too far back in time. Modern practicality with vintage style – a winning combo every time. You can pick one up at local suppliers Monkey Caboose for $24.95. Star Wars fever is running wild right now so no doubt this lunch set from Zak Designs will be a hit with any young padawan. 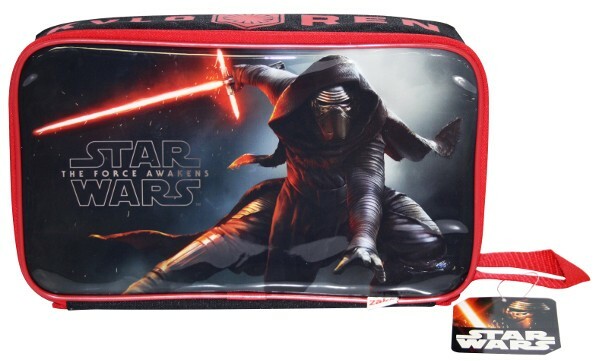 You can find the Kylo Ren insulated lunch box ($12) and sandwich container ($5) at your local Target store. 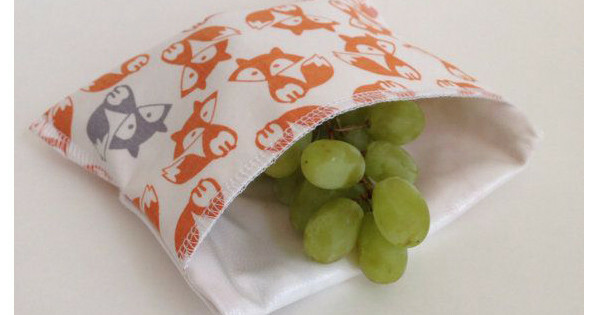 An eco-friendly alternative to the ziplock bag, these handmade and reusable snack bags from Maxwell Designs featured as one of our fabulous Etsy Finds and Babyology readers fell in love. They are available with a fold over closing or zipper, but the real eye-catcher is their adorable selection of prints. Priced from around $8. The days before school goes back can be filled with a parade of endless labelling techniques. This year you should skip the work and order some of these great personalised products from Hippo Blue. 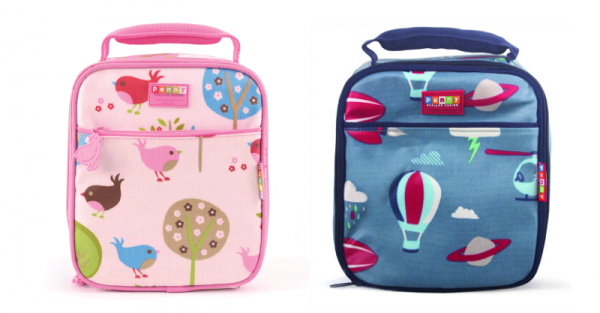 Choose from an extensive selection of design options to give your child’s lunchbox a special touch. Hippo Blue personalised lunch boxes ($32) are also insulated, waterproof, and all orders placed in January ship at a $5 flat rate. Gotta love that. Okay so here is something I will be picking up for myself and maybe I’ll let the kids use if they are super nice to me. The Yumbox ($39.95) makes bento-style meals easy with a removable one-tray compartment section as opposed to the series of small boxes that usually come with bento. Even better, each compartment is portioned and labelled to guide you in providing a healthy, balanced meal. 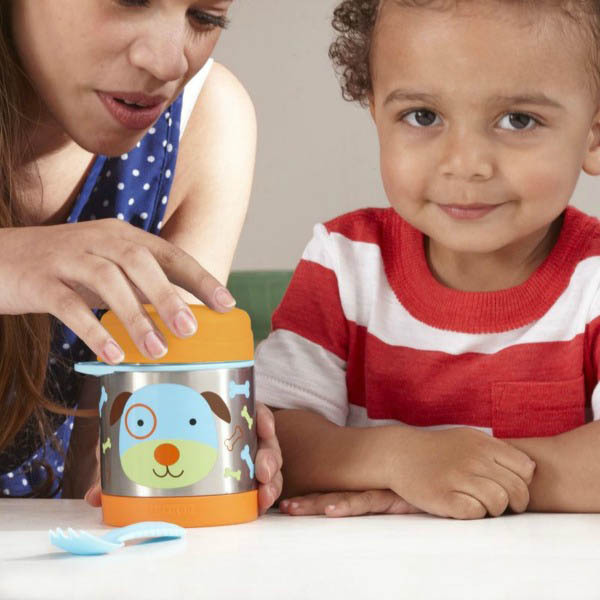 You can even remove the tray and use it as a plate and a nutritional meal guide for toddlers at home. Yumbox have a fun selection of designs, but I think I’ll get myself the six compartment outer space design with glow in the dark stars on front. Last on our Back to School food storage list are these super useful food pouches from Sinchies. 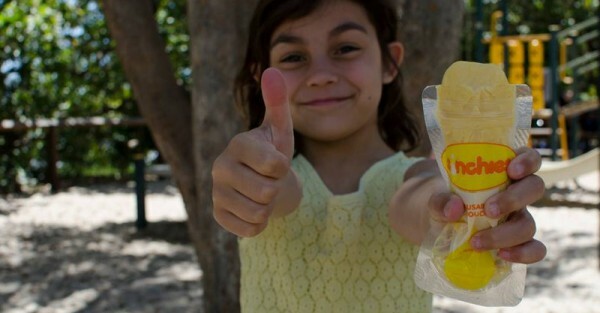 Plastic wrap and throw-away bags are things of yesteryear and these washable, reusable food pouches are certainly the future. Freezer and dishwasher safe with all the food safety standards you can expect from any great Australian product. Sinchies have a great Lunchbox Kit with a variety of sizes and styles of pouch for $35 that will help you save money while saving the environment. If you are looking for some slick recipe ideas to help fill those lunch boxes this year, have a browse of our Babyology Food section and try not to drool on your keyboard.